Thursday February 7, 2019 - Deputy President William Ruto is in more trouble after the expose by former Interim Party Vice Chairman, David Murathe, that he rigged the 2017 party primaries in favour of his cronies. This is after Jubilee leaders turned against him following the damning revelations which they termed as unforgivable. Speaking yesterday, Jubilee leaders led by nominated Senator, Isaac Mwaura, and former Mukurweini legislator, Kabando wa Kabando, expressed their dismay on how they were edged out during party elections. Mwaura claimed that the election was a sham all along while his counterpart termed the process as fraudulent. 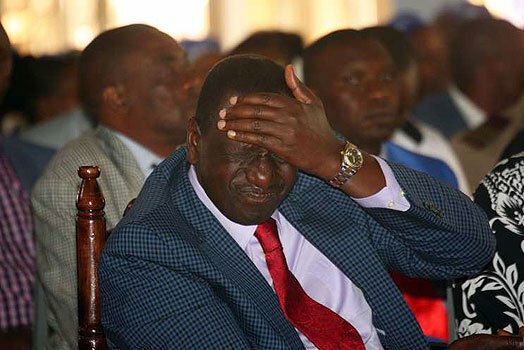 On his part, Kabando alleged that the rigging was intended to end careers of certain politicians in the party who were considered a threat to Ruto’s 2022 Presidential bid. Murathe unveiled the bombshell live on TV claiming that Ruto manipulated the process so as to strategically place his allies in Mount Kenya and Rift Valley.